BTS brings down cultural barriers. November. 01, 2018 08:06. imi@donga.com. “Asians have made continuous efforts to bring down cultural barriers with the Western World, but it was not easy. However BTS brought down those barriers, just like Bruce Lee dominated the world,” the Japanese American musician said in an interview with The Dong-A Ilbo. Aoki unveiled "Waste It on Me," his new single that was collaborated with BTS Thursday. Aoki gained more than 300 million views last year on his YouTube music video remixing MIC Drop by BTS. He also participated in the production of "The Truth Untold" released in May this year. Aoki, who has joined forces with BTS for the third time, said that he tried to make BTS sweet vocal stand out. The two met for the first time in May last year. “I really wanted to meet them in person when I saw their diverse aspects on SNS,” he said. "I invited them to my home and we spent time talking about many subjects, which brewed our bromance." Aoki said that he believed that the remix of MIC drop played a role in promoting K-pop culture to the world. He said the popularity was jaw-dropping. “They made a huge performance that even English-singing artists could not have achieved. BTS has made history, even if you look back on 20 years,” he said. 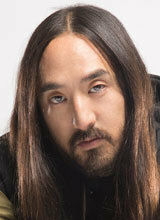 Aoki became famous for his musical talent, becoming a Grammy award candidate. He is also well known for his powerful stage manners. He is known for tossing a large cake to the audience and diving towards the audience with his long hair flowing behind. He majored in sociology and women’s studies. His father is a well-known wrestling player and his sister Devon Aoki is a fashion model and actress. “I think that the success of Crazy Rich Asians and BTS gave hope to every Asian,” said Aoki. "For the last century, there have been few cases where cultural limitations were overcome, such as Latin pop and K-pop. Diverse cultures with potential will dominate the world in the future."